Not all the late nineteenth century white men who cut their way into the wealth of untamed Africa were touched by dreams of colonial conquest, territorial gain or massive religious conversion of the native tribes. 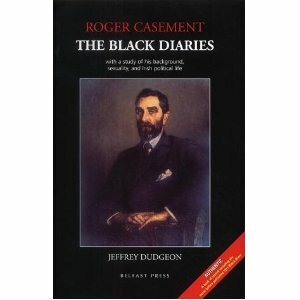 Sir Roger Casement, it is true, was in deepest Africa, in the Congo, as Consul for Her Majesty’s Imperial Government of the United Kingdom, her colonies – and Ireland. But he was no ordinary diplomat. His task was not to consolidate conquest. In fact the opposite. He had been sent to Africa in 1895 and was subsequently given the task to effectively expose and restrict the unbridled territorial expansion of Belgium’s King Leopold. The Royal Belgium was the worst of the colonial capitalists. In the Congo he had enslaved the local tribes. He imposed a heartless discipline under which the natives, young and old, were turned to forced labour for the collection of rubber and who suffered severe beatings, physical mutilation, including the chopping off of hands and feet, if they failed to make the King’s quota. Casement’s work, conducted in the harsh environment of rawest Africa was both dangerous and heroic. The British House of Commons published his report detailing the horrors he had witnessed. He was condemned by the King of Belgium and earned for himself, almost by accident, an international reputation as amongst the finest humanitarians of his age. And a knighthood. He remains one of the lesser-known hero’s of the native African. This book, which is by far the most comprehensive biography yet written, focuses upon the diaries he wrote whilst serving in the Congo, and the later diaries written whilst exposing similar native exploitation in the Putumayo region of the Amazon. They became the diaries that destroyed him. For Casement, the benighted British diplomat and African hero, became a traitor who was to hang for his role in the 1916 Irish Rebellion. And the homosexual content of his diaries added the fatal weight to his drop from the English gallows. Dudgeon has, perhaps rightly, seen his life as some kind of template for the complexities of the relationship between England and Ireland. Casement was a protestant. His heart was in the glens of Antrim. His family served the Empire. He became a homosexual. Dudgeon’s meticulous research of his early pre revolutionary life seeks to understand the North of Ireland as much as it seeks to explain Casement. And he succeeds. For all the drama and adventure, the tragedy and the farce of Casement’s life as a diplomat or his revolutionary role in the Rising, what stays with you most is the relationships in North Antrim, sometimes rich, often lonely and isolated. Nothing finer about the North will be written for some time. On the diaries Dudgeon reveals their full and explicit nature. They are the diaries of an active homosexual. They contain great-untapped wealth for the student of early colonial Africa or for Amazonian environmentalists. But their fame and notoriety lies in the explicit detail of homosexual encounters from Belfast, London, the Canaries, Africa and the Amazon. Dudgeon’s task is to assert the diaries as a genuine record of a gay Irish hero. There are many in Ireland who still believe the diaries were forged by British Intelligence to blacken the name of an Irish Hero and to ensure his hanging for High Treason. They are unlikely to read this complete demolishing of the forgery theories, the best ever published. The diaries themselves were clearly not written for publication. They are rather seedy, often repetitive and without the notoriety attending on the theories of forgery they would not attract the attention they do. Casement’s role in the rising; his attempts to suborn prisoners of war held by the Kaiser; to raise a brigade of rebels to fight in the rising; his journey by U boat back to a lonely Irish beach and his capture trial and execution, have been better told by other writers, most notably by Montgomery Hyde (Famous Trials 9: Roger Casement-Penguin 1964) But this book, rich with previously unknown photographs, is in the end, more satisfying more complete and perhaps now, the definitive biography of this flawed hero. RTE have tarnished the Presidency. One of the most beautiful collections I’ve ever watched.